NARF represents the Turtle Mountain Chippewa, Chippewa Cree, White Earth Band of Minnesota Chippewa, and Little Shell Chippewa Tribes in this case against the federal government for misaccounting and mismanagement of their tribal trust fund, the Pembina Judgment Fund (PJF), since the inception of the fund in 1964. 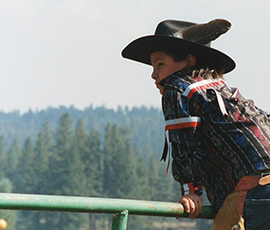 In 2006, the tribes defeated the United States’ motion to have the case dismissed. Since August 2007, the parties have been trying to resolve the tribes’ claims primarily through alternative dispute resolution proceedings before a settlement judge of the Court of Federal Claims. In August 2009, the parties reached agreement at least for settlement negotiations purposes on the population of “baseline” (non-investment) transactions in the PJF. In July 2015, the parties reached agreement on a monetary amount for a potential settlement of the plaintiffs’ claims in this case. Since that time, the parties have been discussing numerous non-monetary components of a potential settlement and preparing various documents.